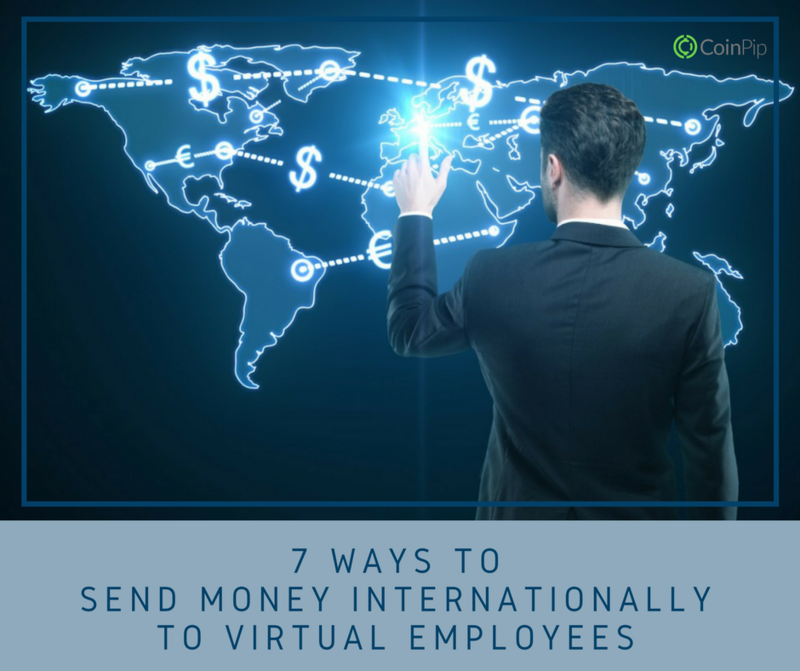 Of the costs mentioned in 4 common costs for managing remote workers, the most controllable are the payroll and remittance costs. Workers and BPOs will set their prices. You can get cheaper providers, but the quality and integrity of work are not guaranteed. Some platforms and applications come free, but with very limited service options. If you want the best, you must pay the price. Fortunately, that is not the case for international money transfers. Bank to bank transfers are the most common type of sending money abroad. It is also the most established and oldest way of transmitting money. However, bank transfers are also the slowest and the most expensive option. Sending money and clearing processes take 3-5 days to complete. To send money directly to bank account, banks charge and average of $40 USD per transaction. That is a lot of money, especially if you’re remitting regularly and to a lot of people. PayPal is an online payment system most preferred for its convenience and instant transmission. Whether you are buying supplies and materials, merchandise, paying personal purchases, or sending salaries to freelancers, PayPal will process it. To transfer money online, both the sender and the receiver must have an account. PayPal charges 2.9% + 0.30 USD per transaction. If you’re to send $1,000 USD, the sender is charged $29.30. MoneyGram is a brick and mortar financial business offering money transmittal to anywhere in the world. The sender and the receiver will physically go to a MoneyGram outlet to send and receive the money. With thousands of outlets worldwide, it is relatively easy to receive or send money. MoneyGram fees are at $11.50 USD for transactions lower than $900 USD and 2% for amounts higher. If you’re to send $1,000 USD, the sender is charged $20.00. Western Union is a popular option to send money internationally. WU offers both in person and online processing of money transfer. Slightly more expensive than MoneyGram rates, WU fees vary according to the method for sending or receiving the money. Cash payouts are instantly transmitted but have higher charges. Transfer directly to bank account takes up to two business days to process but has a lower fee. Your method of payment and the amount being sent will also affect the pricing. It is important to note that Western Union also generates income from the currency exchange. CoinPip is a newcomer in the cryptocurrencies industry. Barely a year in the business, CoinPip already has a strong following and a solid clientele. With CoinPip it is easy to send money, lowest rates apply, and services include free tracking and notifications to both the sender and the recipient. CoinPip charges a flat fee of 2% of the transaction amount. No exchange or minimum charges. No hassle of commuting or waiting. Receivers don’t have to register and the sender would only need the register, verify their account, and start sending money to the world. FOREX or foreign exchange is the market for money. It is where you buy and/or sell currencies. The fluctuating values of different currencies due to economic factors results in either a loss or a gain. When you send money to another country, you are in essence, buying their currency. Transfer of money overseas through an F/X broker is cheaper and fast. However, opening an account can take at least two days to process, not all F/X firms are insured and the charge matrix are not feasible for sending smaller amounts. This is another way to transfer money internationally through banks. SWIFT is an encrypted wiring system that transfers money from your bank to any bank in the world. To use SWIFT, you need to have a foreign currency account of the currency you’re using. So, if you’re in Canada and you need to send money to the US through SWIFT, you first need to open a US dollar account. Wire transfer costs apply to both the sender and the receiver, thus doubling the fees. Currency conversion fees are also applied to SWIFT transfers, making it impossible to predict the cost of sending the money or the final amount the recipient will get. And since banks are fix-charging every transaction, sending out less than $1,000 USD is very expensive compared to the other methods.